Me 'n' You in Portugal is my take on Portugal, its people, customs, arts and crafts.... In fact I'm writing about what I love and have loved about Portugal for many years. You might use it just as a travelogue but I hope you will find it to be much more than that; an insight into the Portuguese way of life. There will also sometimes be news about what is happening here whether good or bad. 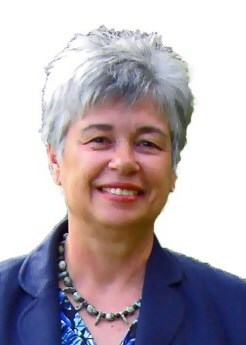 To read more about me, to find out why I've called the blog Me 'n' You , and to discover why Portugal and all things Portuguese will from now on be the focus of my life, please read 'About me'. 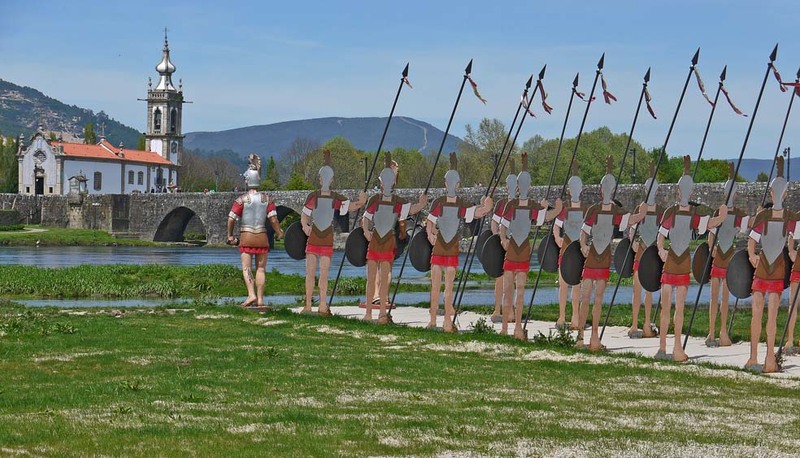 So why settle in Ponte de Lima? 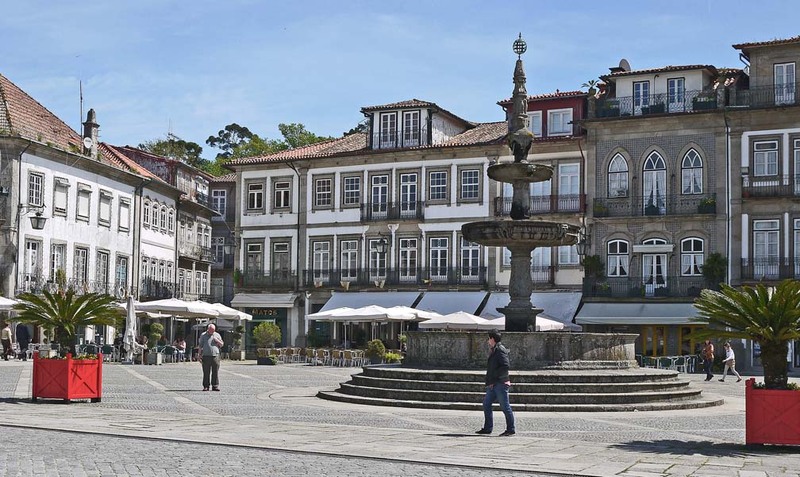 Well, look at the main square, the Praça de Camões, elegant with its white plaster and grey granite. See the cafes with their canvas umbrellas where you can have coffee, fresh squeezed orange juice, sandwiches or cakes. Look at the seventeenth century fountain, the 'chafariz', topped by an armillary sphere, with three bowls beneath to catch the trickling water. Doesn't that answer your question? Why did we go looking in the north? It was when we saw the sign, "We also have a menu in Portuguese" outside a restaurant on the waterfront of Vilamoura marina that our doubts about the Algarve were confirmed. We had had friends there for years, had spent pleasant holidays in the Aldeia Velha but the overwhelming number of foreigners that now call it home put us off. We wanted deep Portugal, real Portugal, the Portugal we had known years ago when the dictator Salazar had discouraged tourism and the Algarve was just a coastline of pretty villages and immense orchards of almond trees. That sent us on a search all over the country from Trás-os–Montes in the far north east, where some village names, such as Fresulfe, still faintly echo their Vizigoth past to the Serra de São Mamede with its cherry orchards and sweet chestnut groves in the east, to the centre near historic Coimbra with its ancient university and black-caped students singing fado music, and back finally to the Alto Minho in the far north west where Portugal as country began. We chose what to us is the prettiest town in the country to be 'our' town and isn't it just perfect? There are narrow streets with shops and cafes, pretty corners with statues and plants and stone churches with 'azulejos' – blue and white tiled pictures - showing historic scenes. 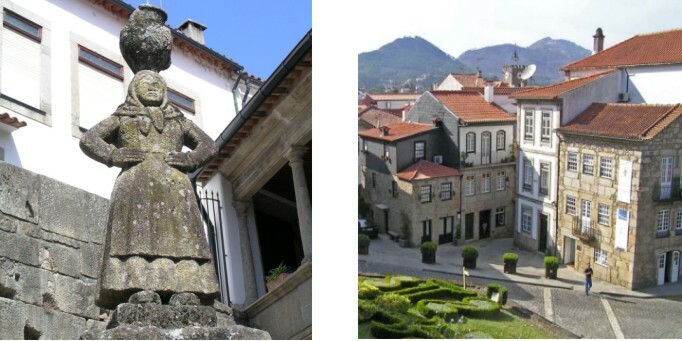 Take, for example, this ordinary little corner where the Turihab office – the organisation which offers bed and breakfast in manor houses and stately homes – has its head quarters; or consider the hidden square behind the public library where the little water carrier stands on her pillar outside the Muralha Restaurant. Can you doubt we've made a good decision? We are just the latest in an age-old line of people seduced by the beauty of the Lima Valley. According to legend, almost two millennia ago, the Romans were trying to pacify the last corner of the peninsula. Decimus Junius Brutus marched with his legionaries to the banks of the River Lima and ordered them to cross. To the soldiers, though, it seemed clear that such a beautiful river must be the fabled the River Lethes – the river of oblivion - and that if they entered it their minds would be washed clean of all memories. Fearful that they would forget home and family, they refused to follow orders. It was only when Decimus plunged in alone and still was able from the far side to call across his men each by his own name, thus proving that waters of the Lima had not made him forget, that they ventured in. Here is their memorial, with the 'Roman' bridge – actually a mediaeval restoration - behind. More about Ponte de Lima another time. Do you have a favourite town or village in Portugal? Write in and tell us where it is and why you love it.